Fifteen minutes with your creator can change the course of your entire day. If we’re honest, though, spending time with God is often the furthest thing from our minds. What if there was a simple way to change this? 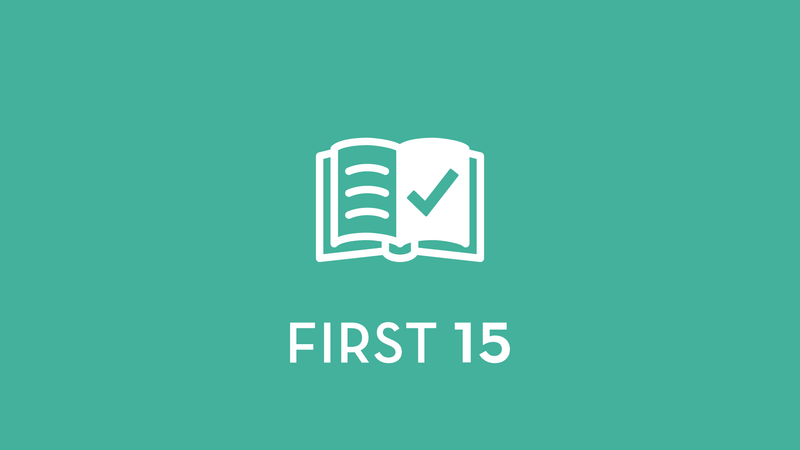 The First 15 is about making it your first priority to spend 15 minutes a day with God in Bible study and prayer. It may sound intimidating, but this simple commitment could change everything about your day. Check out the First 15 Guides below! WANT TO LEAD YOUR OWN FIRST 15 CLASS? Can you imagine what would happen if every Christian on the planet began to make it their first priority to spend 15 minutes a day with God in Bible study and prayer? Everything would change. However, many have no idea where to begin. This class been taught to over 100 individuals in 2015 from BridgePointe. Many of whom have never read the Bible or have felt discouraged in their attempts. Below you’ll find resources for you to use ABSOLUTELY FREE. What’s Included: Prezi presentations (Prezi.com), handouts, booklets, guides, sermon links, and more. Future Updates: I will regularly be updating this page with resources as I continue to teach the class. If you need anything feel free to contact me. For now, read a few stories below from people who’ve taken the class. Whether you are teaching the First 15 class or just looking for yourself, check out the resources below. If you have a need or recommendation, don’t hesitate to ask. Praying this helps you purse God’s heart like never before. *Note: These resources were created primarily for BridgePointe Christian Church. You’ll find a majority of our branding and language on them throughout. If you want them without branding we might be able to help with that. BridgePointe Christian Church: Can I Trust The Bible?